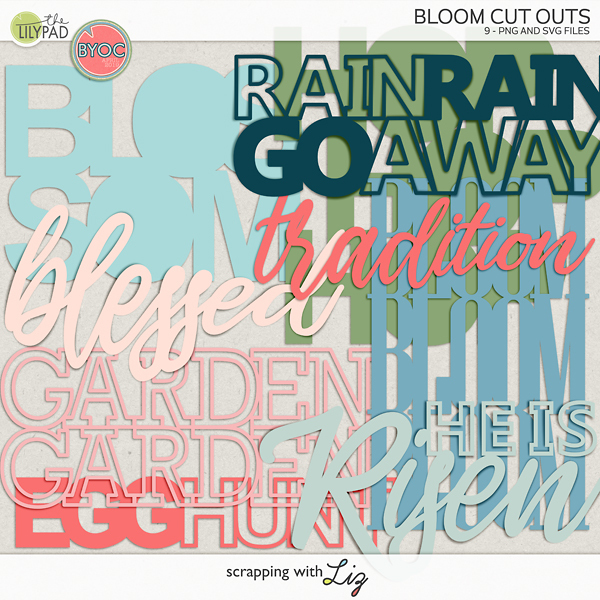 Scrapping with Liz: 2016 Week 12: Spring Break, Friends and a Birthday! 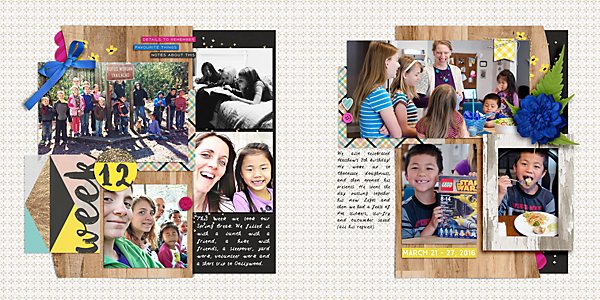 2016 Week 12: Spring Break, Friends and a Birthday! 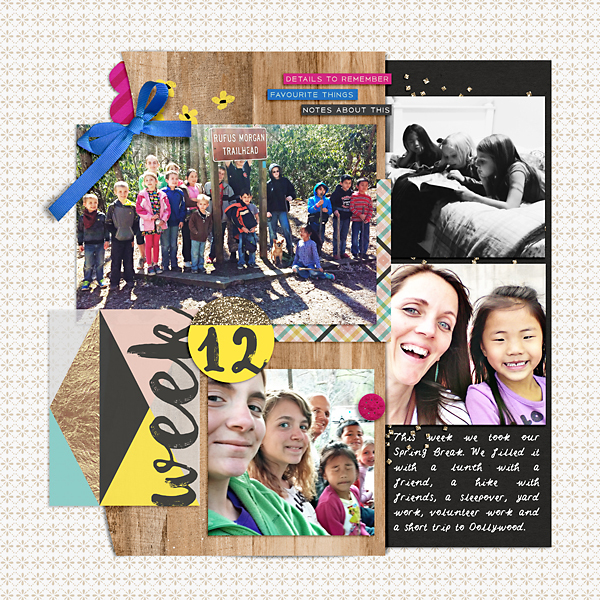 Week 12 was all about taking a break from the normal routine. The first part of the week we didn't do a whole lot. 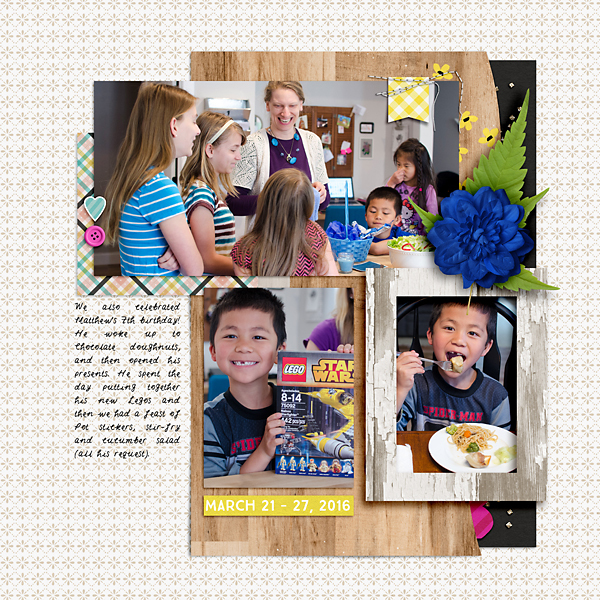 We hiked with friends, had a sleepover with cousins and friends, served a goodbye lunch to a sweet friend and then on Thursday and Friday we took a little mini-vacay to Dollywood, and on Saturday we celebrated Matthew's 7th birthday. It was a nice change from our normal routine. 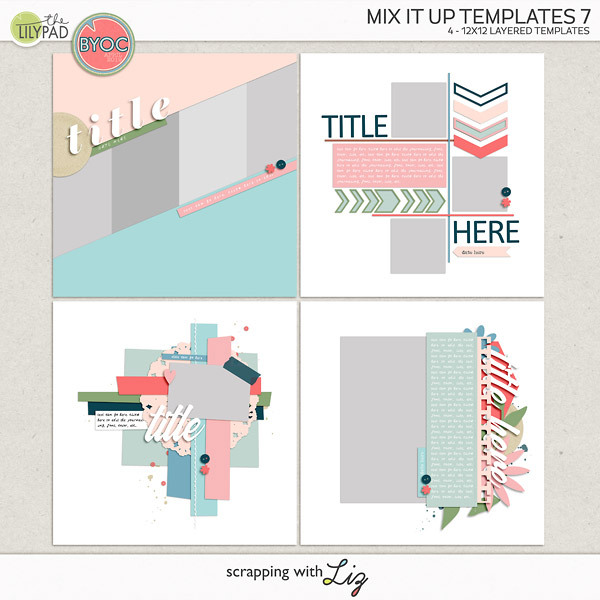 I'm lovin' the neutrals with the pops of blue, pink and yellow in this month's Memory Pockets Monthly kit and add-ons. It works well with my weekly photos. While this week was fun, I'm ready to get back to a normal routine. How about you? Have you taken your spring break yet?